Well done profG and the rest of the gang. Remember to take both copies to your neurologists maybe they will get eventually if they haven't already. Two copies version one and two hope this is centre stage at MS life 2016. Just put it out unto MSU. Should put a link in there to get it, we will get it out online asap. but not a word on what diet and supplements.. So what in world is the purpose of this…? Re: "So what in world is the purpose of this…?" We only had limited space, time and resource to write the policy document. Our next paper will be a systematic review on the lifestyle issues and we will summarise dietary studies. 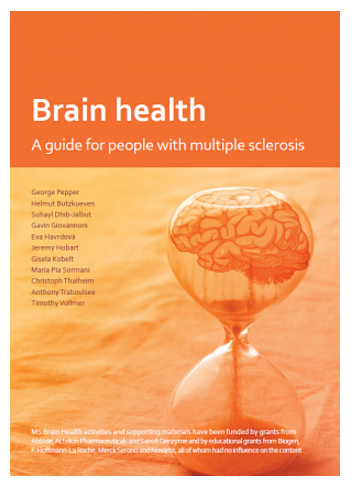 In the meantime you need to be aware that to the best of my knowledge there is no class 1 or 2 evidence to support any specific diet in MS. You need to use you common sense and realise that a healthy diet as proposed by the 'Hearth Health' community is the one you should be adopting at present.